I received my August 2018 edition of the LDS Church’s Ensign magazine last week. Bundled with the Ensign was a supplement: The text of a “Worldwide Youth Devotional” titled “Hope of Israel.” This devotional was presented to the youth of the Mormon Church in June by LDS President Russell M. Nelson and his wife, Wendy. The youth of the LDS Church, the “Hope of Israel,” are not doing all they can do; therefore, they are living outside of a state of saving grace. These are things LDS youth said they would do. If they would do them, they could do them, but they aren’t doing them, so they are not doing “all [they] can do” as required by 2 Nephi 25:23. The highly praised youth of the LDS Church, said to be Heavenly Father’s most noble spirits, are admittedly not extending their best efforts. They could do more, but they choose not to. 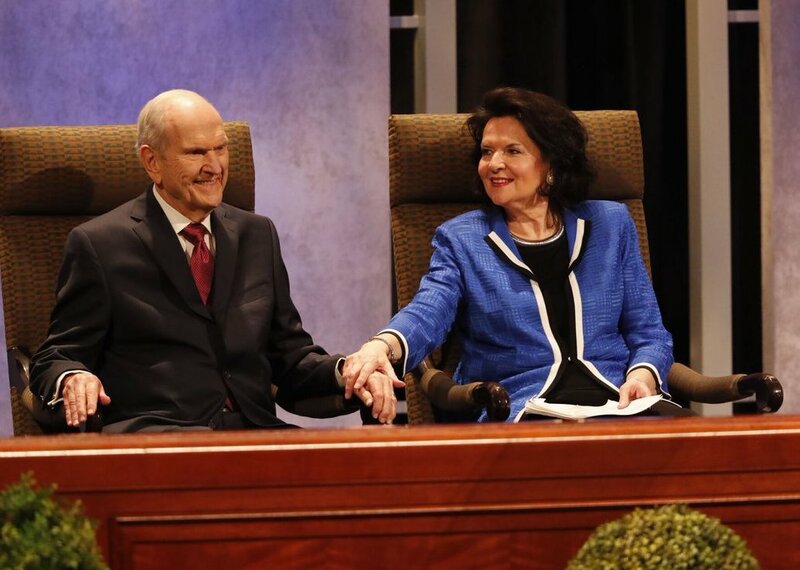 President Nelson’s devotional displays a poignant example of Mormonism’s Impossible Gospel. It is impossible to consistently do “all we can do,” for there is always something more that could be done. Simple things like spending less time with friends. Like choosing healthier foods. Like posting one more spiritual meme on social media. Like reading one more verse in the Book of Mormon before turning out the light at night. LDS youth, as great as they actually are, fall far short of doing all they can do. Therefore, according to the LDS Church, they are unable to receive God’s grace and are unworthy to dwell with Him eternally (see True to the Faith: A Gospel Reference, 77). Yet President Nelson believes they are the Hope of Israel. Thankfully, he is wrong. Truly, God is our hope. We are not to trust in the so-called “Lord’s youth battalion”; this would be turning away from the Lord Himself, from the fountain of living water. We are to trust in the LORD; our trust isthe Lord. He alone heals us. He alone saves us. He alone is our praise. I am eternally grateful that the true hope of Israel is our faithful and able God, the One who promises “by grace you have been saved through faith” (Ephesians 2). He doesn’t offer it only “after all you can do”; He tells us it is “the gift of God.” He does not require us to “expend our own best efforts” to acquire it, (see “Grace,” LDS Bible Dictionary); it is His “free gift of God through Jesus Christ our Lord” (Romans 6). God Himself is the hope of Israel. He is my sure and steadfast hope. He can be your hope and Savior, too.